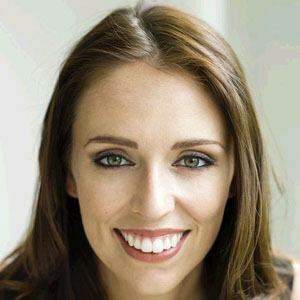 Leader of the New Zealand Labour Party who became the 40th Prime Minister of New Zealand in October 2017. She previously served as Spokesperson for Social Development. After earning a degree in communications from the University of Waikato, she became a senior-ranking member of the Young Labour Party. In 2008, she was elected President of the International Union of Socialist Youth. Though she was raised in the Mormon faith, she left the Church of Jesus Christ of Latter-day Saints because her religion came into conflict with her politics. She grew up in Murupara and Morrinsville, New Zealand, as the daughter of police officer Ross Ardern. She has been in a relationship with TV host Clarke Gayford; they welcomed a daughter, Neve Te Aroha Ardern Gayford, together in June 2018. She and fellow Labour Party politician David Cunliffe both served in the New Zealand Parliament.